I promise I will get back to all of your comments. I cried so hard that I couldn’t go out, so Mum and Bro drove off with Sammy and Jensen. Mum called later and told me that the staff at the rescue centre had been marvellous. 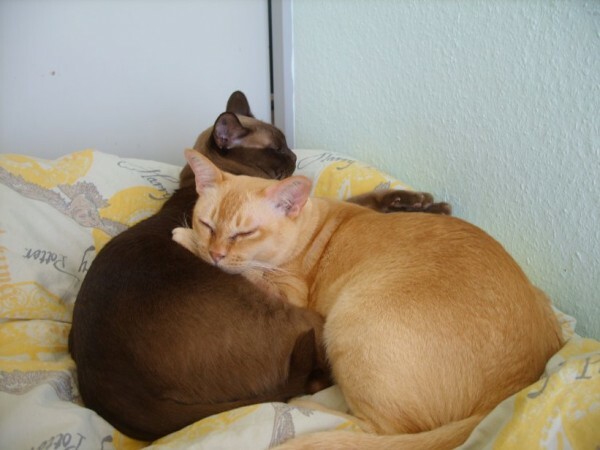 There actually was one that remembered the cats from when I bought them 4½ years ago, as they rarely get Burmese cats – and brothers – in. They had been so kind with the cats and they asked Mum if she thought I would like an email when they got sold again, so I knew where they would go. Mum said yes. The girls were so sweet. Sarah send sweet texts and called later to hear how I was..